Join us in our first fundraising event dedicated to supporting Autism education and awareness in Lansing community. The event will be hosted at the MSU Breslin Student Event Center, and activities will begin at 11:30 am and conclude around 1:30 pm. 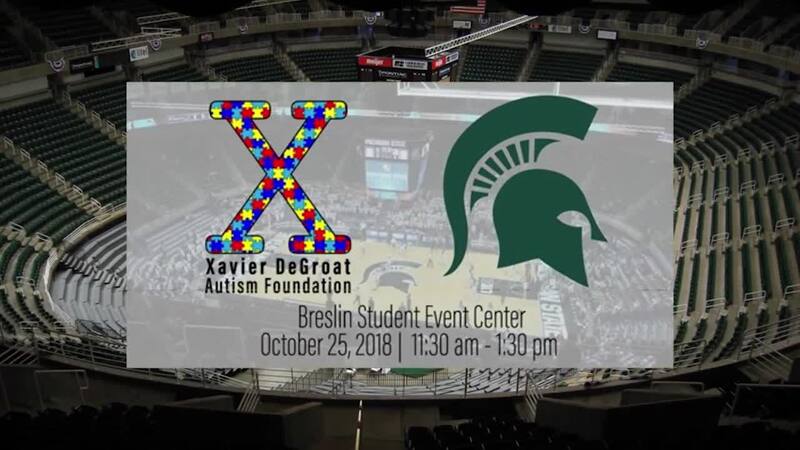 Coach Tom Izzo, and Mark Dantonio will be our special guests and speaking at the event in honor of the Xavier DeGroat Autism Foundation. VIP Admission includes: Free Lunch, admission to the event, special VIP access to meet & greet with Coaches Tom Izzo and Mark Dantonio, and a photo taken with the coaches.